Fans of pop superstar Lady Gaga are eagerly awaiting the release of the singer’s new single’ Perfect Illusion’. 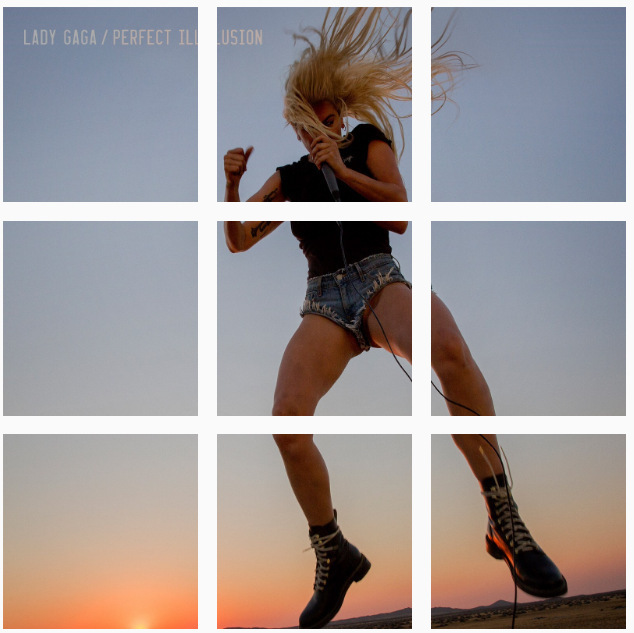 Gaga sent fans into a flurry of excitement yesterday when she posted the cover of her new single to her Instagram account, splitting the image across nine separate posts. Meanwhile the singer’s website has changed to scrolling text announcing the imminent arrival of a new song. The new tune was created with Perth writer and producer Kevin Parker from local band Tame Impala, working alongside Mark Ronson and BloodPop. Parker and Ronson previously collaborated on Ronson’s ‘Uptown Special’ album. While BloodPop worked on Justin Bieber’s ‘Sorry’ as well as records for Grimes and Madonna. “I don’t need eyes to see/ I felt you touchin’ me/ High like amphetamine/ Maybe you’re just a dream.” was posted to her Twitter account. Some Gaga fans stites are counting down the hours until the track drops, presumably it’ll be released once it’s September 9th in the USA, Aussie fans might have to wait until late in the day.